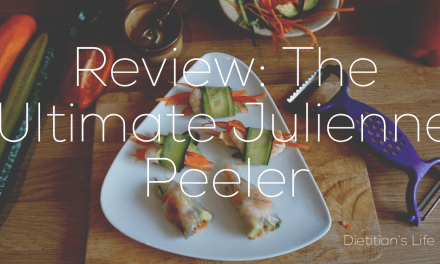 I came about reviewing this new diet book after connecting up with an old school friend who is now in the PR business. I am so glad to have made the connection as he offered me this book to review. As soon as he said it was co-authored by a dietitian, well I was hooked! 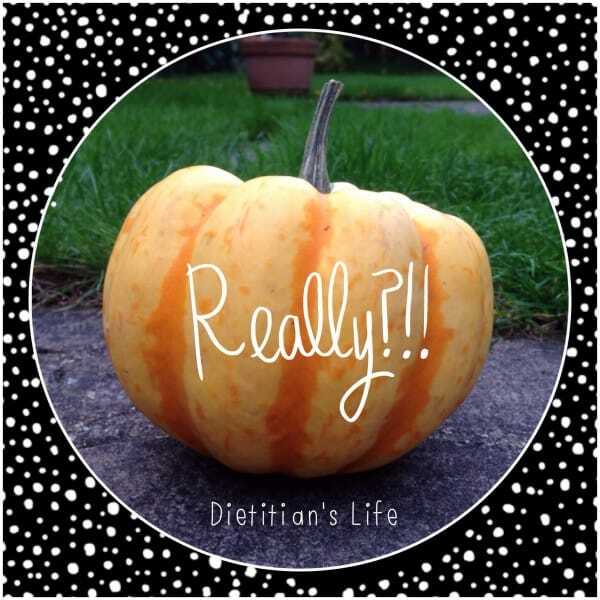 I read so many diet recipe books and cringe as the advice is often not quite right. So it is a refreshing change to read a book that is dietitian approved! Tummy Revolution 21 is a practical dietary aid for people with Irritable Bowel Syndrome (IBS) who are figuring out which foods trigger their symptoms. This fairly new diet regimen is called the low FODMAP diet. 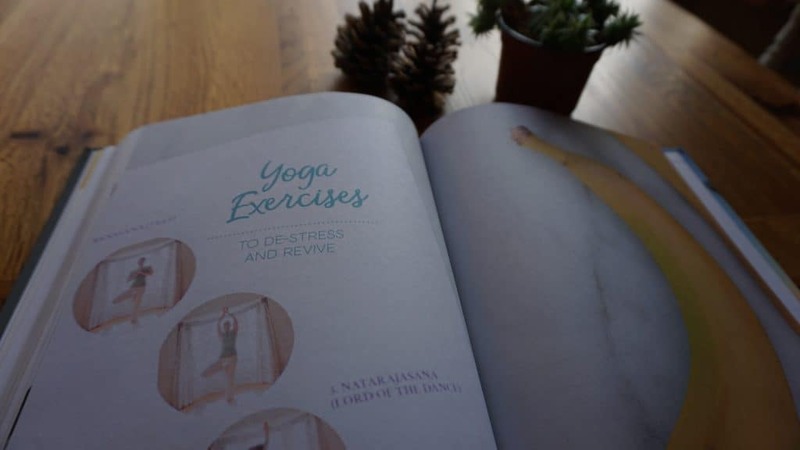 The book isn’t just about the diet but also looks at Yoga and meditation to help alleviate stress which is also linked to IBS. FODMAPs are a group of short chained carbohydrates that are not absorbed properly in the small intestine. When they reach the large intestine the bacteria ferment them. This is normal, but some people have a sensitive gut and it can cause symptoms of wind, bloating and discomfort. Diarrhoea and constipation are also symptoms. Monosaccharides (Fructose) eg honey, apples, mango, pear, watermelon, high fructose corn syrup. Oligosacchardies (Fructans) eg Artichokes, garlic, leeks, onion, spring onion (white parts) shallots, wheat, rye, barley, inulin. Galacto-Oligosaccharides (GOS) eg legumes (baked beans, kidney beans, bortolotti beans), lentils, chickpeas. Disaccharides (Lactose) eg milk, ice cream, custard, diary desserts, milk powder, yoghurt, soft unripened cheeses. Polyols (Sorbitol and Mannitol) eg apples, apricot, nectarines, pears, plums, prunes, mushrooms, sorbitol, mannitol, xylitol, maltitol and isomalt. All these foods need to be eliminated to work out which one causes the problem. The authors are Sarah Chadwick, who is a home cook and photographer and has suffered from digestive problems. Debra Thomas who is registered Dietitian specialising in IBS and Kerry Morgan who is a Yoga Instructor. 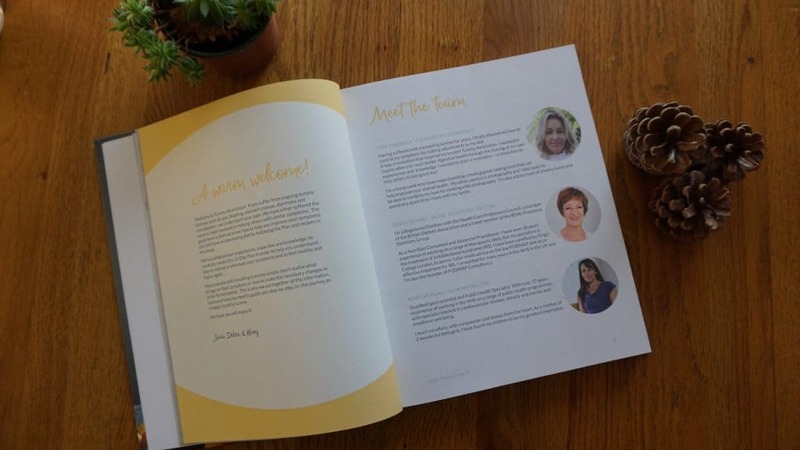 It was great to see this combination of authors – Sarah to give the personal viewpoint and Debra and Kerry to give the expert advice. The book is easy to read, in a practical order and the food photos look very appetising. 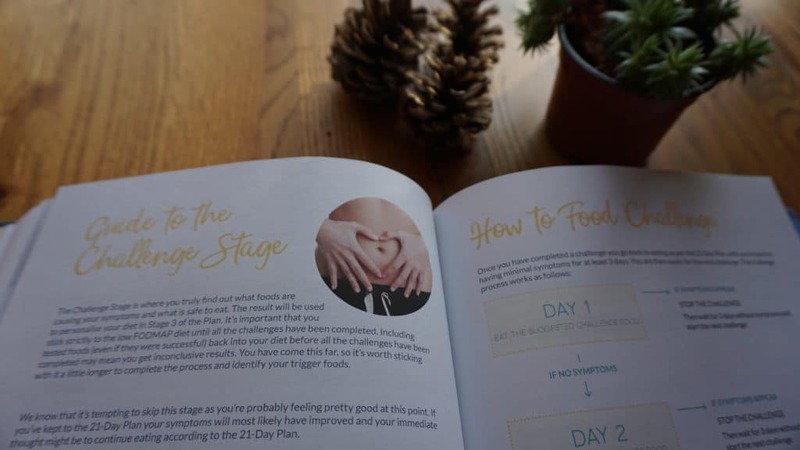 The book takes you through the stages of the diet. The elimination stage, the challenge stage and the personalisation stage. The largest section is the elimination stage as this is the most complicated! This section takes you through step by step on how to manage it. It includes meal plans for 3 weeks. 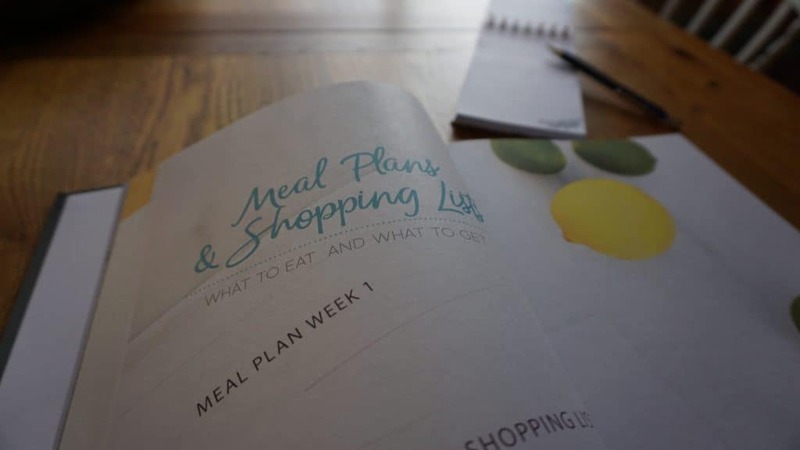 Each week includes a shopping list plus preparation recommendations and tips for preparing. This is very useful as it can be daunting cooking from scratch in a busy life. 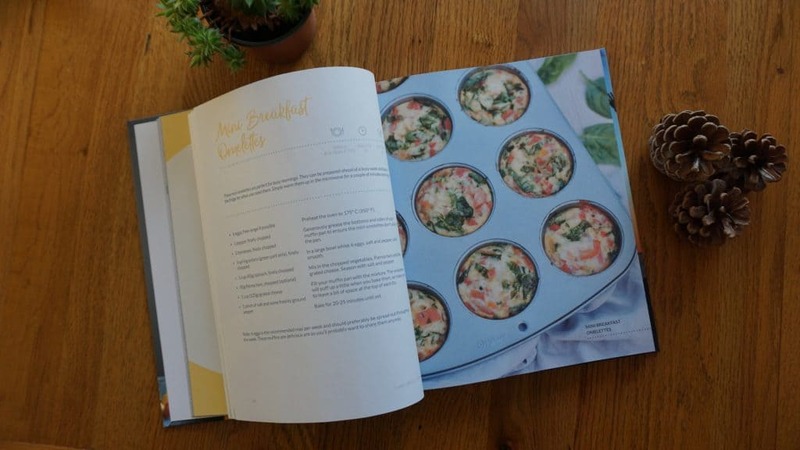 The book then provides all the recipes included in the meal plan. 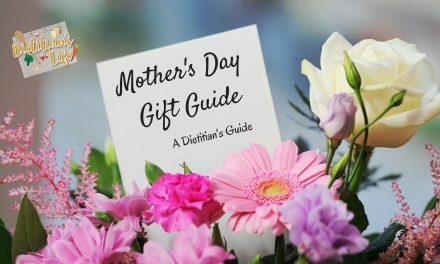 This is a lovely selection of breakfast, lunch, dinner, snacks, treats and drink recipes! 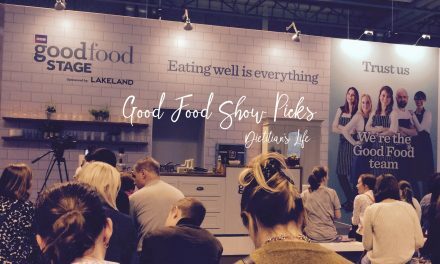 The selection shows that a low FODMAP elimination diet does not have to be boring! The book is called Tummy Revolution 21 as they suggest following this elimination diet for at least 21 days (3 weeks) strictly to see the benefits of the diet. If the diet hasn’t worked then other tips are given and if extra support is needed then they recommend contacting a FODMAP trained dietitian. The book provides an extensive traffic light list of FODMAP foods. 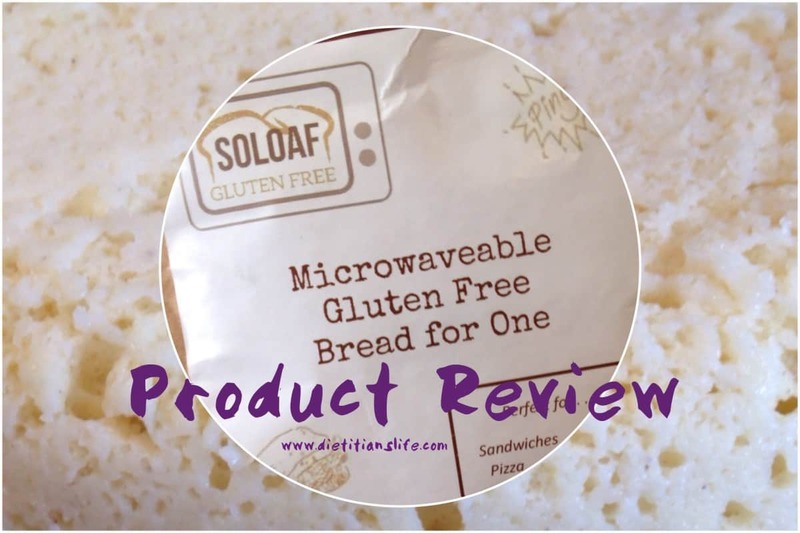 The restricted FODMAP elimination diet should not be followed long term and once symptoms have settled after 21 days, then the troublesome FODMAP foods can be challenged one by one. The book sets out how to manage these challenges and what foods to use. Once you have discovered which foods cause gastro problems, then the book helps you personalise your diet. It’s not always just diet that causes IBS symptoms and stress and anxiety are also triggers. This section takes you through 3 sequences of yoga – morning, daytime and evening yoga. This should be done alongside the elimiation stage and it can be done at anytime and anywhere. The book includes pictures and descriptions of how to do each move. There is also 2 pages on meditation. This is a really useful and comprehensive guide to following the low FODMAP diet to work out which foods are causing IBS symptoms. 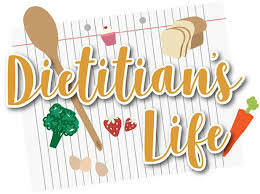 A book doesn’t replace a trained experience dietitian, but this book can be used alongside working with a dietitian who can tailor the diet for you. Before starting any diet changes please do check with your GP that there is no other medical reason for your digestive symptoms. Once your GP is happy that the problems are IBS related then this diet can be tried. If you have any other medical problems or need extra support then seek support from a dietitian. Disclosure: I was gifted the Tummy Revolution 21 book in return for a review. All views are my own. 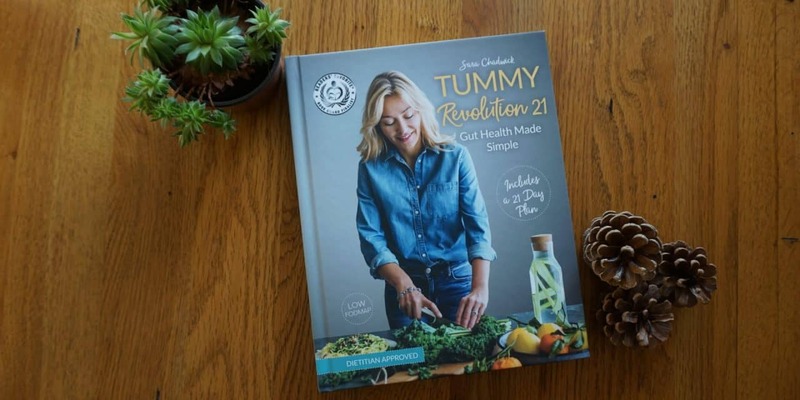 Win your own copy of Tummy Revolution 21 – *Competition now closed*. This competition is only open to residents of the United Kingdom aged 18 years or over. See competition section on our disclaimer page for terms and conditions. PreviousThe New Sugar Guidelines – Easy to Advise but Easy to Follow? 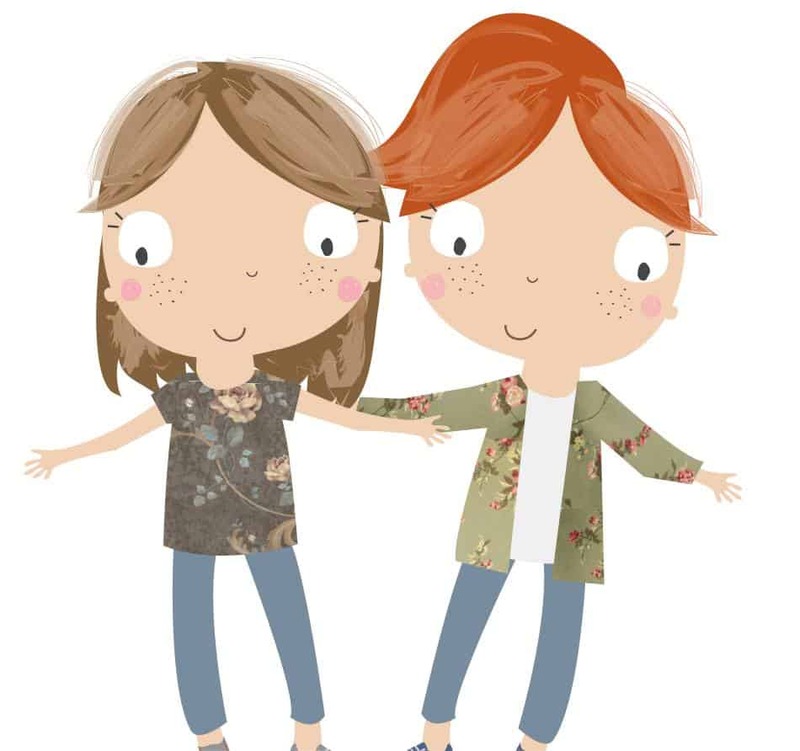 @PKU_Kate Amazing Kate, when is it going to be on (or have I missed it!) as currently abroad!